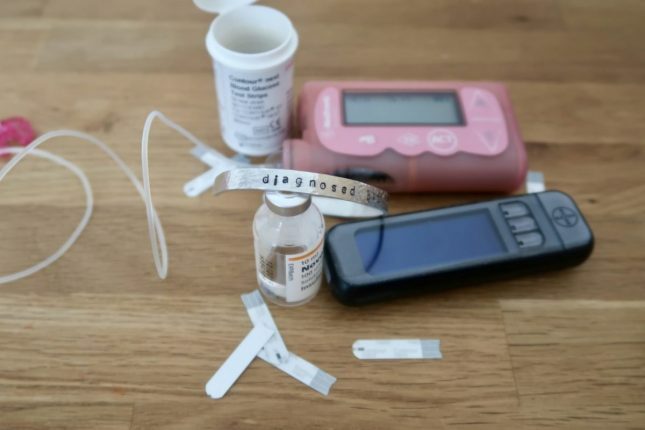 I was diagnosed with diabetes at 23 years old. I wasn’t a child any more. My student days were behind me. I had a mortgage and a real life grown up job. I was finally finding my place and working out who I was. Some days I can clearly remember a life without diabetes. And other days I can’t. It is really easy to feel like a number. To judge yourself or feel judged by others based on your hba1c or what you blood glucose is reading at any particular point in time. I think it is this that makes some people have an issue with being called a “diabetic”, preferring the term “person with diabetes”. It’s not something that I am bothered by personally, but I do understand why it riles up some members of the type 1 community. When I was diagnosed I was adamant that diabetes wouldn’t stop me. 5 years on I have stayed fairly true to that. I exercise if I want to, I’ve had 2 pregnancies and am raising 2 children all with diabetes by my side. 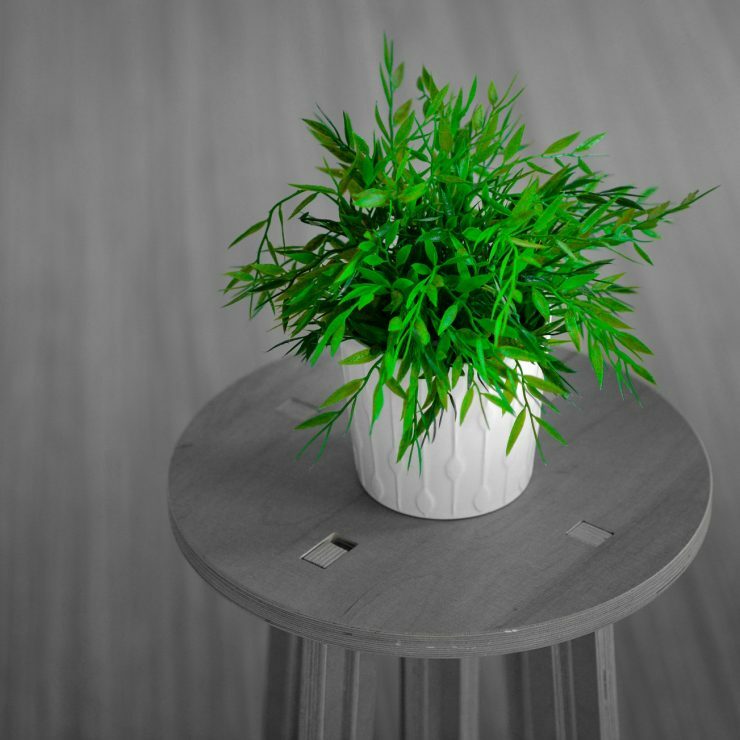 In our house things are run a little differently, but overall it is fairly successful. It’s not without it’s challenges though, and it can be hard not to feel defined by your diabetes – especially when seeing medical professionals. 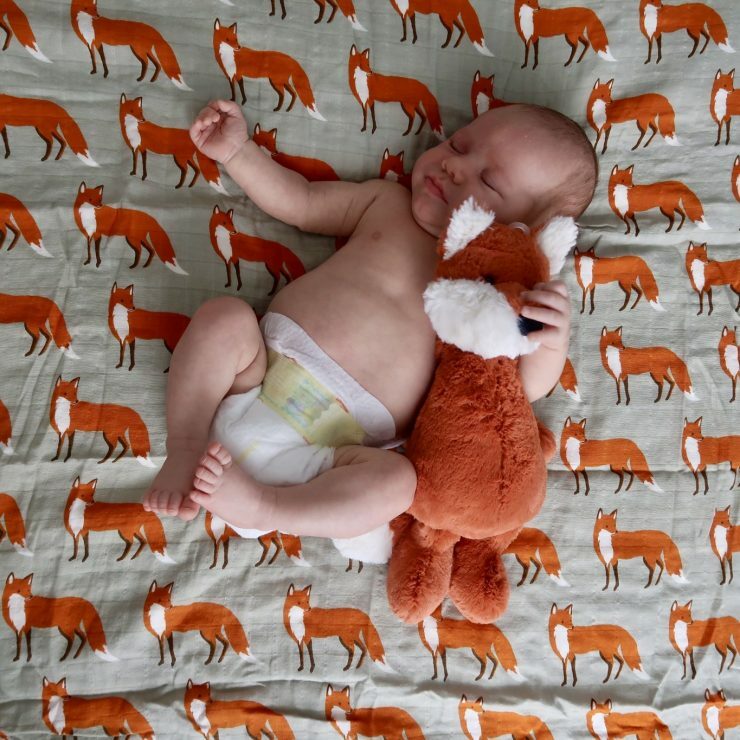 I found pregnancy in particular quite hard as some HCP’s appeared to be simply going through the motions rather than remembering that there was a person in front of them, not just a bunch of data and statistics. To serve as a little reminder, Butler and Grace have sent me a beautiful affirmation bracelet. 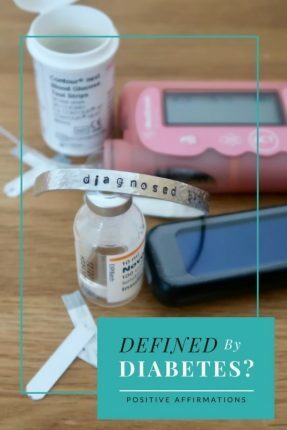 I chose to have “diagnosed but not defined” on mine, to remind me that I’m more than just my diabetes. I am a wife, mother, musician, engineer, friend AND diabetic. It is part of me, but not all of me. 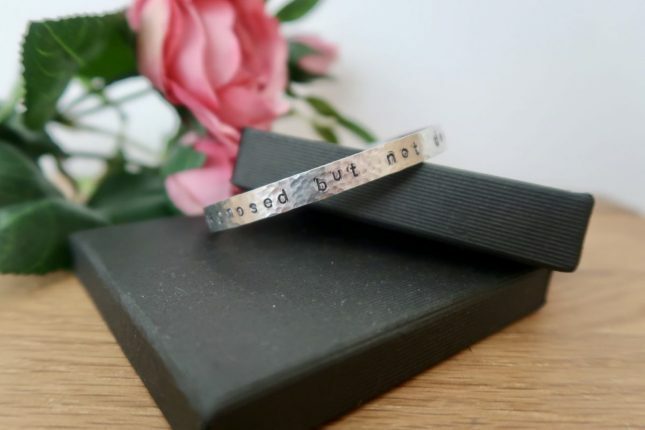 The bracelet can be personalised to have a phrase of your choice, 2 different text styles, 2 different colours of text, the choice of the text being on the outside or inside of the bangle and even the choice of hammered or smooth in style. I love the range of options as it means your bangle is truly unique to you and that no 2 will be the same. I have very small wrists so I was a little concerned that the one size fits all bangle wouldn’t actually fit me. I needn’t have worried as you simple tighten it to suit your own wrist, making it the perfect fit. 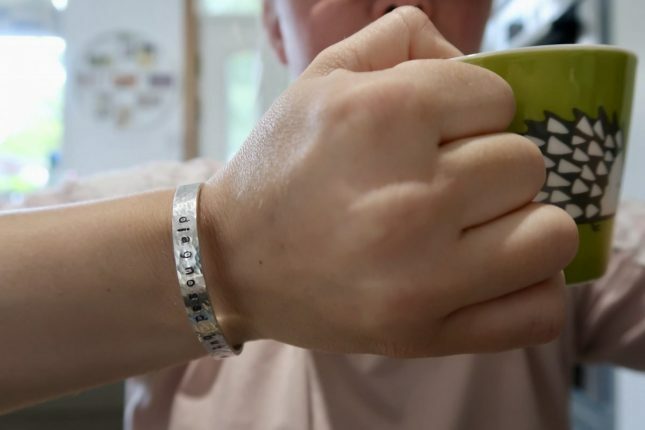 Although I love my bangle, Butler & Grace actually specialise in medical alert and ID jewellery. They have a huge range of bracelets, necklaces and accessories that you can buy to suit your needs. I used to wear a medical alert bracelet daily and have fallen out of the habit recently. I do need to consider getting another one, as my old one has my maiden name on it, and I will definitely be looking at Butler & Grace when I do. Butler & Grace are giving one of the OddHogg readers a £30 credit to the store to purchase an item of their choice. 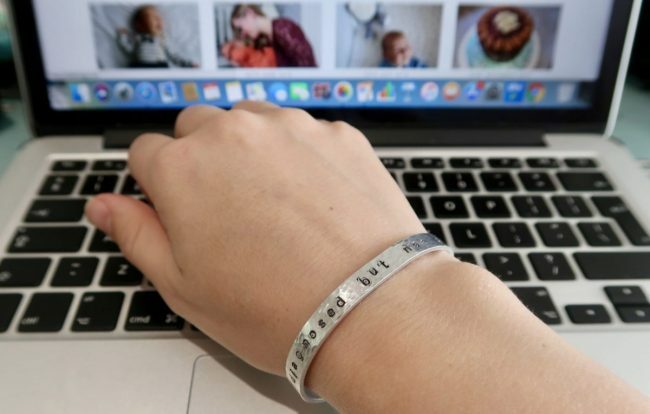 If you have a friend or child that requires a medical alert bracelet (or even just want one for yourself!) then enter using the widget below. Please note – I was sent an affirmation bracelet for the purposes of carrying out a review. All words and opinions are my own. I would definitely have a medical alert bracelet. I need one to warn that I am on Warfarin and will bleed heavily. I like the Whisper one best. 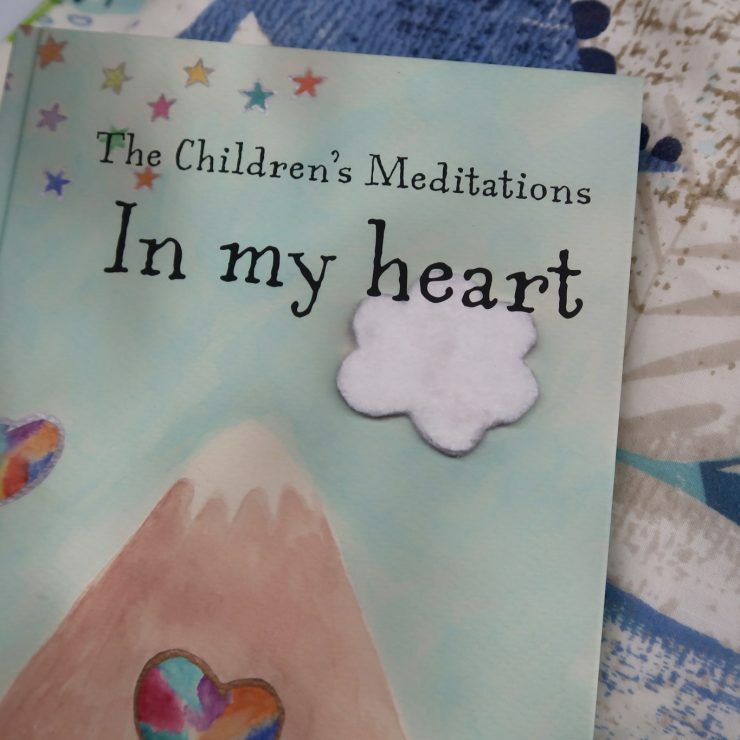 I wonder if they could do anything for autistic and ADHD children, I may prove helpful. I would buy a medical alert bracelet for my son, he has epilepsy.